Watch full Ginga Eiyuu Densetsu Season 4 Episode 17 English Subbed full HD online. Ginga Eiyuu Densetsu Episode 103 English Subbed online for free in HD. Cosmic Mosaic. Princess GrÃ¼newald visits Hilda and the sickly Reinhard. Although Reinhard’s expedition was canceled, the problems of the insurgency and Iserlohn fleet remained. 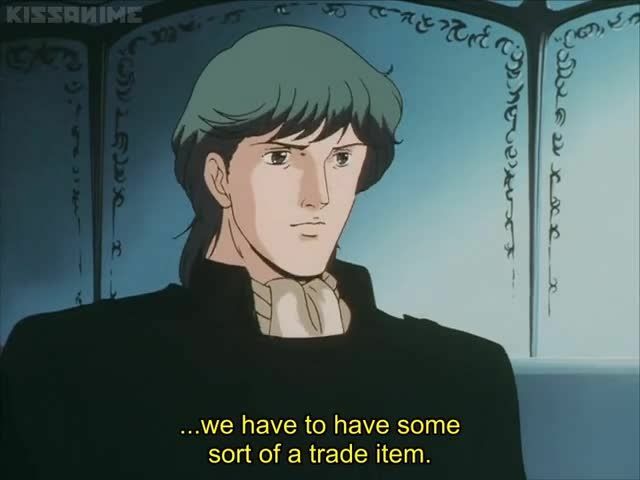 Oberstein is chosen to handle the new problems for the Empire. Oberstein takes MÃ¼ller and Bittenfeld with him on the campaign. News of the Iserlohn victory bypasses Imperial news censors, causing many protests. Oberstein orders the arrest of all former public officials in the Alliance. Oberstein infuriates MÃ¼ller, Bittenfeld, and Wahlen with his plan of using hostages to draw out the forces of Iserlohn. On Iserlohn, the Julian fleet wonders what to do if the Empire were to abandon Heinessen and use it as a lure.